At Hall Chadwick QLD we offer a personalised range of accounting, taxation and other business services to professional sportsmen and women. Hall Chadwick QLD has teamed up with teamed up with Hall Chadwick QLD SMSF & Financial Advice along with some other well established legal and financial firms to run a Sports Wealth Advisory division under the one name ATG (Ahead of The Game) Sports Wealth Advisors. ATG Sports Wealth Advisors aims to provide sports players with a broad range of services and advice (including accounting, legal and financial) during and beyond their sporting careers. ATG is a move away from the traditional managerial style of sports management, with our focus purely on providing strong, objective and independent accounting, legal and financial advice, and not acting in any managing capacity of the players. We are aiming to provide independent, fee for service, rather than commission driven advice, to sports people at any level and at any stage of life. The parties involved have a real and keen interest in the sporting world while already being well established in their specific industries. 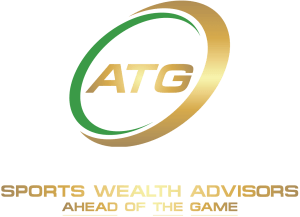 In association with ATG Sports Wealth Advisors© our team has extensive knowledge in providing sportsmen and women with the correct taxation advice, structuring and planning to convert their strong cashflow into wealth creation. We understand the challenges and opportunities that sportsmen and women encounter with the relatively short earning capacity as a sportsperson and then transitioning from sporting careers to working life. We work with you to maximise your wealth and minimise risk as well as navigate you through the ever present issues of Taxation, Finance, Cash Flow and Superannuation so you can focus on your sporting career and after sports life.